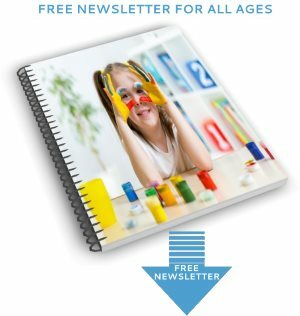 Free homeschool planner template with tips from my own experience as one of the very few second generation homeschooling families. The first lesson is fairly obvious! What suits one family usually doesn't work for another! That's because there are lots of differences. Not just in the age, abilities and interests of each individual child - but because it's about suiting you too! 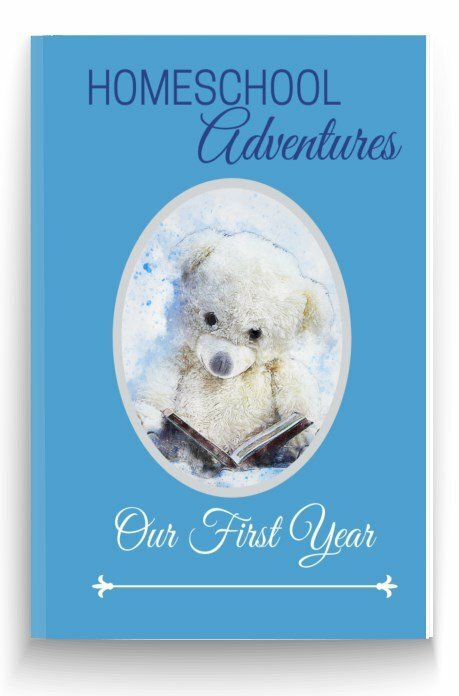 When it come to deciding on a homeschool planner, you have to be honest. Do you need one? How structured should it be? And are you being unrealistic in what you aim to achieve? You'll see that one of the problems with homeschool is that it's not magic. 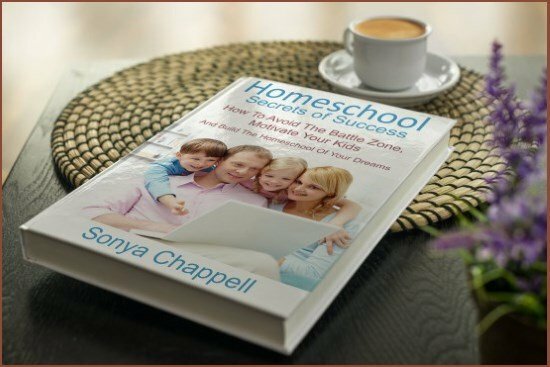 The fact is, as we've seen when it comes to organizing homeschool scheduling, you don't need a homeschool planner or a schedule if it doesn't feel right for you and your children. If they're busy and happy you likely haven't got too much to worry about! "It's a bit like when we started...I read all these stories about how children, once they left school, found their own passions and motivation autonomously. 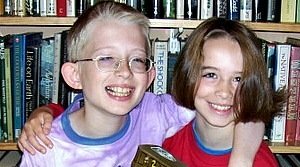 Took me ages to work out that two of my children were just not like that. They have very little self-motivation, get bored very easily and need to be guided, structured, even in the things they enjoy. 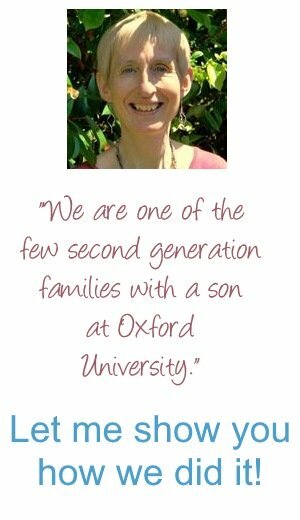 She eventually settled on following more of an unschooling route with two of her children, while two were more structured but with a great deal of choice in what they study. 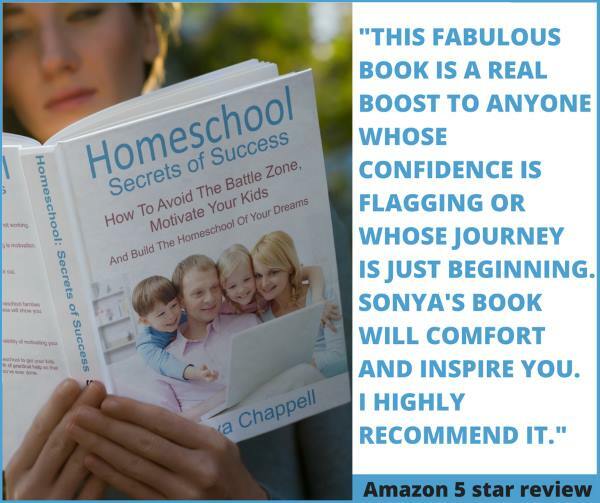 Just goes to show homeschooling works differently not only for every family, but even for children within the same family! Thanks to Maria from my Courageous Homeschooling Facebook Group for making you this brilliantly simple and easy to follow free Homeschool Planner template inspired by Passion Planner. "The Passion Planner is an agenda very popular with moms, college students, and teachers. You can doodle, add stickers, and much more. I decided to do a copycat version for the kids because the one they have is very complicated. 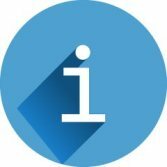 I also added space to add a weekly affirmation and a weekly inspirational quote that you can add or have them write it themselves." The really important part of the version Maria has made of Passion Planner for homeschool is that she has made it really easy to use. You can pay a lot of money for expensive planners but in the end it is often true that simple works best. What's exciting is the parts you can add to your planner template to personalize it. You'll see Maria has given you links to free stickers. 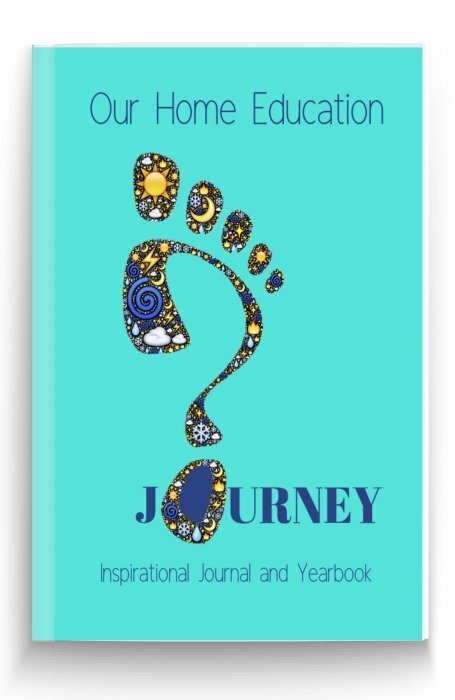 And the power of affirmations and inspirational quotes is definitely the way to make your homeschool planner so much more fun to use. 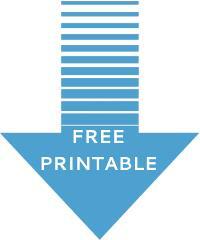 There is a free list of printable affirmations here. You and your child can have fun choosing the ones that call to you by doing a quick search on the internet. 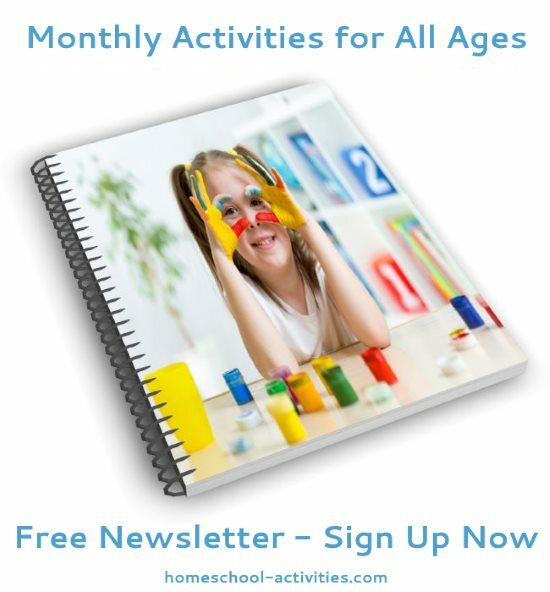 This free homeschool planner template is a guide to help you get started on your own. 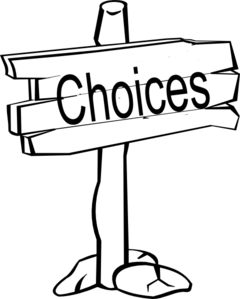 So what are your choices when it comes to making homeschooling planners? 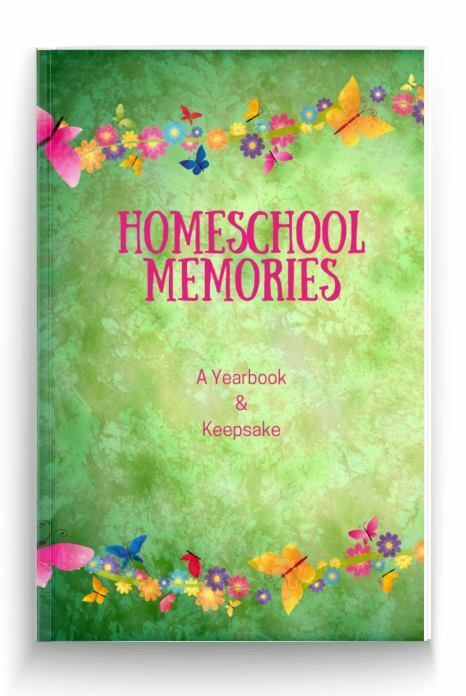 Guess what, there are as many ways to make home school planners as homeschool families! Homeschooling planners based around a traditional classroom schedule. One family I know has a designated 'school room' with a timetable pinned to the wall. Schedule the morning for academic lessons like Math, Science and English. Spend the afternoons on projects and activities. Work in the mornings for a couple of hours and have the afternoons completely free. This schedule would probably include having one or two days a week out on educational visits to museums, castles etc. as well as a weekly visit to a home education group. There are lots of variations within this theme. What about having a Fun Friday and taking one day off each week? If you have a teenager, you might do like a friend of mine and start your day around lunch-time to suit sleep patterns which show that adolescents often work better in the evening. 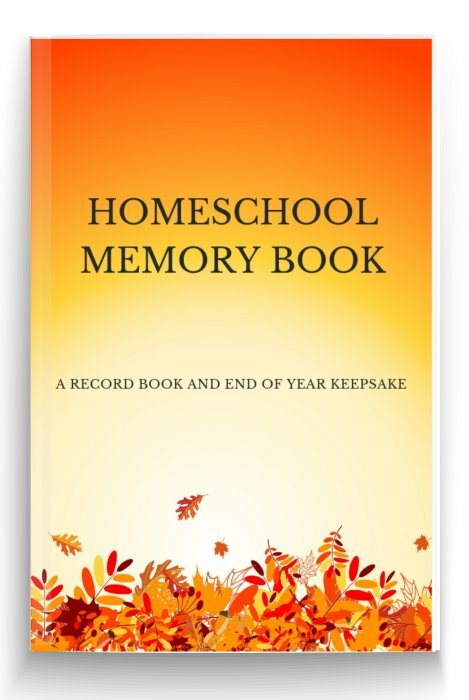 "We changed our entire format three times in the first six months," - homeschooling Mom. It's really useful to see how different people do it! My son is not a "get it all done now and you won't have to do it later" kind of guy. So we have to plan a schedule way ahead of time. For example, most kids get all of their stuff done during the 9 months they're in school. My son does 3-6 assignments a day for 365 days. It takes a lot of flipping through books, counting chapters and lessons and pages and dividing it by how many weeks and or days I want to get it done in, then meticulously piecing them together to make the perfect schedule that I most likely will only follow for a week tops. 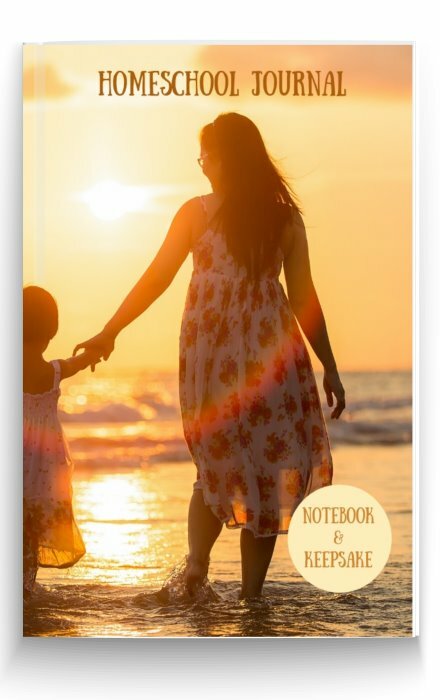 I have to stay ahead of it because my daughter starts Kindergarten this year as well!" 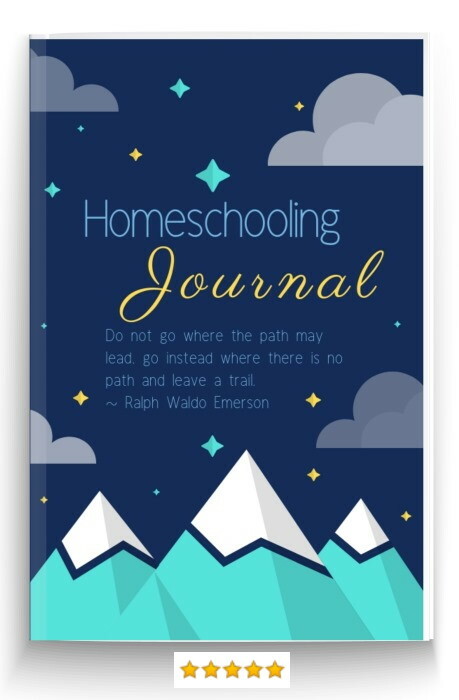 You'll know if your homeschooling planner is working. If there are too many battles - don't give up homeschooling - it's likely it's your homeschool schedule that's to blame. What do the children enjoy doing? How can you make planners that build on that? Working out your homeschooling goals can help when you come to make homeschool planners. Where are you hoping to get to? What are you trying to achieve by the end of the year? Take some time to work out your own teaching style before you get fixed on making planners or a schedule. Is your mind-set oriented around a school approach to teaching? Would that work for your children? 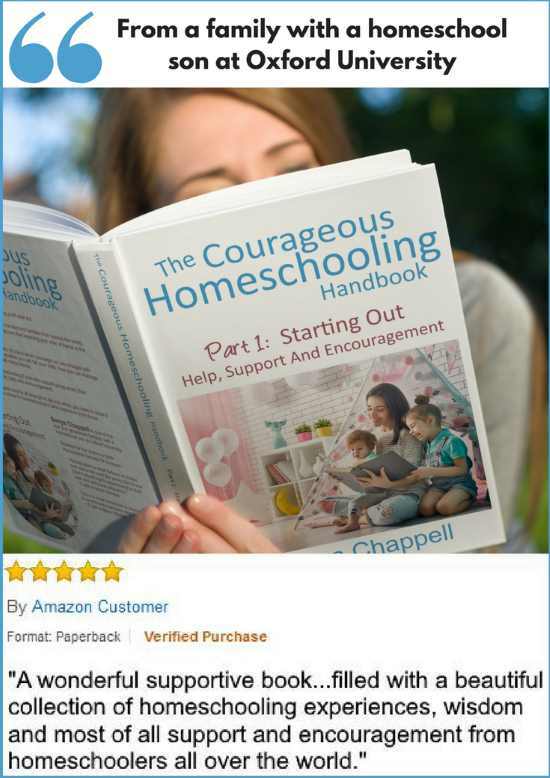 There are many ways for children to learn, and, as I explore the reasons why homeschooling can be bad, I believe homeschooling has infinitely more to offer than a classroom approach to teaching ever can. Try hard not to panic if you don't seem to be 'achieving' anything. 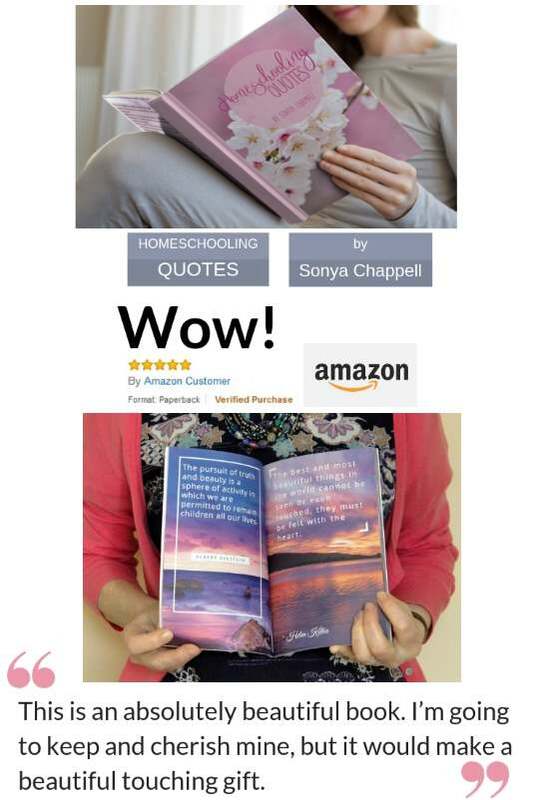 One look at the home schooling problems page and you'll see that's my pet anxt. I really struggle sometimes when my children just don't seem to be doing anything and we don't seem to be 'getting' anywhere. 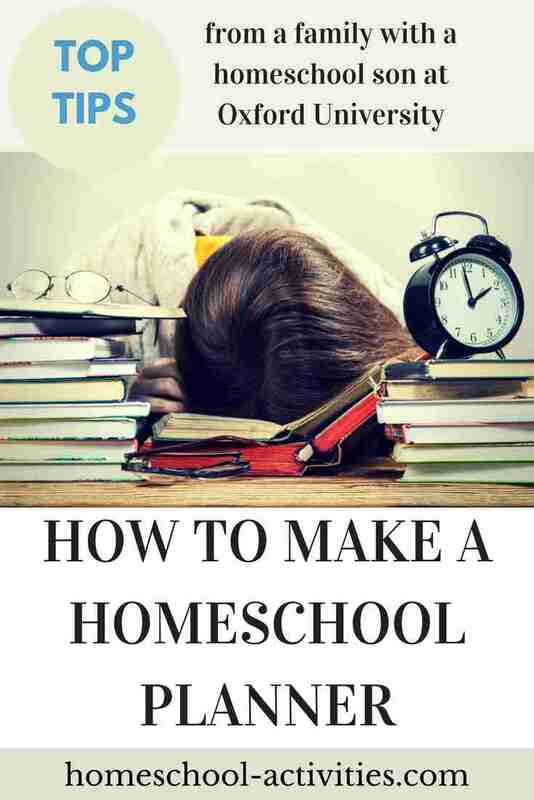 If you'd like some more tips on home school scheduling you can find some here. I'll be answering questions like: How do you fit everything in? I'll also be showing you our our home school day so you can see what we get up to! 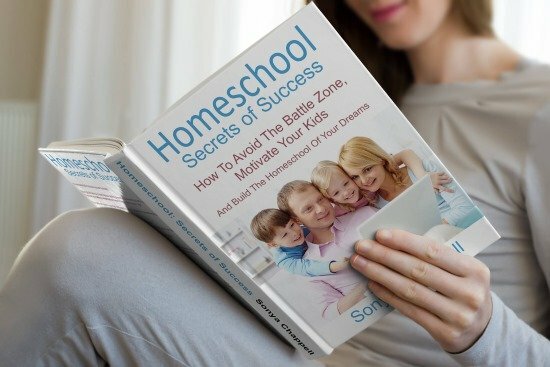 My highly recommended book Homeschool Secrets of Success will teach you the biggest secret to making a planner that works. You will learn how to get your children enthused about learning and learn the key to motivating your children. 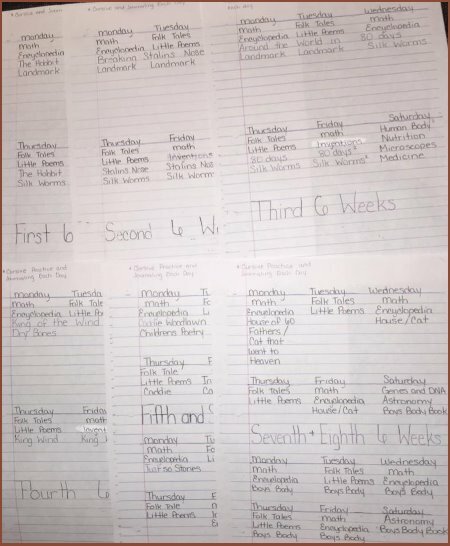 Good luck making a homeschool planner that works for both you and your family!